The TMC supremo also claimed that being anti-government is being considered as being anti-national. 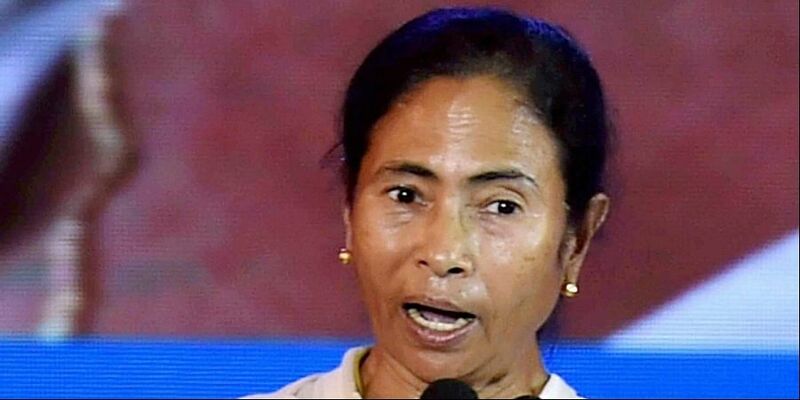 KOLKATA: West Bengal Chief Minister Mamata Banerjee on Monday penned a poem on the National Register of Citizenship (NRC) issue, slamming the Centre and Prime Minister Narendra Modi for exclusion of names of 40 lakh people of Assam in the final draft of NRC. Publishing the Bengali poem on her twitter account, the Trinamool Congress supremo alleged that people have been selectively targeted in NRC. The literal translation of texts of the poem read: "What is your surname? What is your father's identity? What is your language? What is your religion? What do you eat? You don't know? Then go, there is no place for you on this earth. Who are you? What is your identity? Where do you live? What is your education? Reveal everything or else you are a traitor." "Who are you? Whom do you support? Are your five generations registered? Do you have Govardhan account? If not, you are an infiltrator. Do you listen to 'Mann ki Baat'? Do you write against the ruler? Is your phone number linked with Aadhaar account? Are you against the exploiter? Then you have no place. You are a terrorist," the poem read. She also hit out at the Centre on lynchings over beef consumption. "Are you a Dalit? Are you a Christian? Are you a minority? What do you eat? Where do you go? Are you not a supporter of Ravana? Then you should flee," it added. The TMC supremo also claimed that being anti-government is being considered as being anti-national. "Do you know the power of the state? Do you identify the exploiter's agencies? Do you protest? Are you anti-government? Then you are anti-national. There is no place for you," the poem added. The West Bengal Chief Minister had last published a poem written by her in 2016 registering her protest against demonetisation. She had earlier penned poems on Singur anti-land acquisition agitation and wrote a book on her experiences in the Nandigram movement. The TMC supremo has termed NRC as an exercise to drive out Bengalis and Biharis from Assam. A team of TMC MPs and MLAs who went to Assam to speak in public meetings regarding NRC were allegedly manhandled at Silchar airport in Assam on August 2 and prevented from entering the city citing imposition of Section 144 CrPC. BJP claimed they went there to foment trouble. Cases have been booked against Banerjee for stating that NRC could begin a civil war in Assam. Her MPs retaliated by registering cases against Assam Chief Minister Sarbananda Sonowal alleging that he ordered the manhandling of women TMC leaders in Silchar. Sonowal has claimed that Banerjee's pitched opposition to NRC is a move to consolidate her votes in West Bengal in the run up to 2019 Lok Sabha elections.